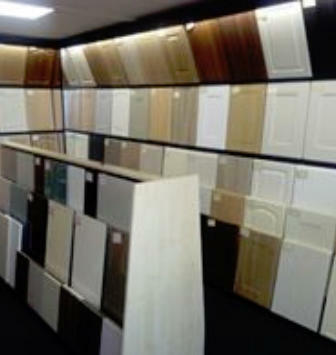 Update the style of your kitchen or bedroom simply by refreshing your cabinets with new doors and handles. You can have a great new look without the hassle or cost of installing new units. Our cost-effective and efficient services get the job done quickly, saving you time and money. Special sizes? - no problem! 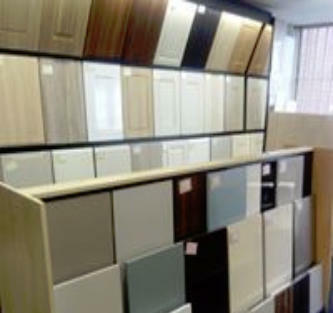 Call in to our showroom soon and see the huge range of styles and finishes we have on display. Bring us the sizes of your existing doors and drawers (heights and widths), so that we can give you an initial idea how little it could cost to give your home a great new look. No need to worry if your existing units are not a standard size. We have hundreds of combinations of styles and finishes that can be made in any size to fit individual units, including metric, imperial and bespoke sizes. 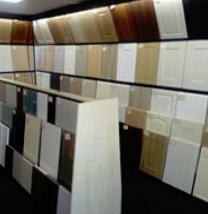 Click on this image to try the door designer for the Moorland range, one of our popular vinyl ranges. 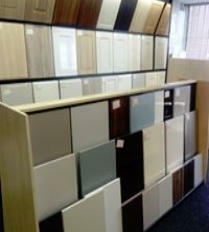 Tap on this image to try the door designer for the Moorland range, one of our popular vinyl ranges.